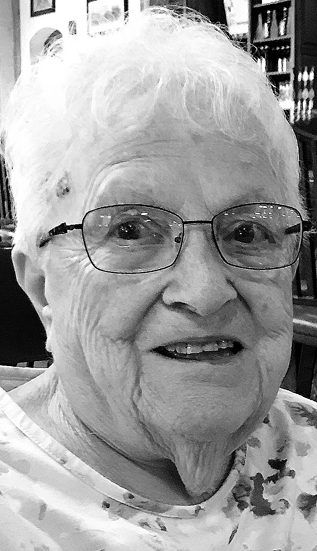 Monica M. Lapanna, 99, of Lock Haven, passed away Wednesday, March 6, 2019 at her home. Born May 25, 1919 in Renovo, she was the daughter of the late Vito and Jennie Valera Gentile. She attended School in Renovo. On June 2, 1956 at Immaculate Conception Catholic Church, she married John J. Lapanna who preceded her in death on Aug. 10, 1990. Monica was employed at the former Sylvania Electric Plant in Mill Hall from 1942 to 1961, a seamstress at the former Bobby Brooks of Lock Haven from 1967 to 1974 and then at Woolrich Woolen Mills from 1974 until retiring in 1980. She was a member of Holy Spirit Parish, St. Agnes Alter-Rosary Society and the Alpine Star Lodge, Lock Haven. Surviving is her brother, Ralph Gentile of Georgia; her adopted family, David and Holly Muthler, of Lock Haven; and those who considered her Grandma: Evan Muthler, Hannah (Joe) Rafter, Hayla and Iris Rafter and Darren (Megan) Muthler. Along with her parents and husband, she was preceded in death by two sisters, Grace Costagliola and Cecelia Pezzano and two brothers, Michael and Nicholas Gentile. A Mass of Christian Burial will be held on Monday, March 11, 2019 at 11:30 a.m. at St. Agnes Catholic Church, 3 E. Walnut St., Lock Haven with Rev. Father Joseph Orr officiating. Burial will take place at St. Agnes Cemetery, Lock Haven. Friends and family will be received on Monday from 10 a.m. until 11 a.m. at Moriarty Funeral Home & Crematory, 112 E. Church St., Lock Haven. Memorial contributions may be made to either Holy Spirit Parish or the Lock Haven Catholic School through the funeral home.